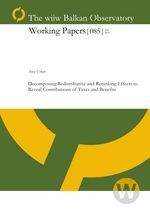 New decompositions of redistributive effects are developed, revealing the relative contributions of different tax and benefit instruments. The methodology uses a “micro-approach” in the study of income inequality, where different indicators are first calculated for pairs of income units, and then aggregated to the population level. This approach is much more suitable for scrutinizing various income transitions emerging from fiscal activities than the usual apparatus of Lorenz and concentration curves. Emerging within this framework are also the concepts of fiscal deprivation, distance narrowing deprivation from reranking; their connections with widely known indices of redistributive, vertical and reranking effects are established. The methodology is applied in an analysis of the Croatian system of direct taxes and cash social benefits.